This can't be as good as it gets. To help make things easier on us Nexus 7 folks, we have the Tablified Market, an app that highlights only the best Android tablet apps available in the Play Store. 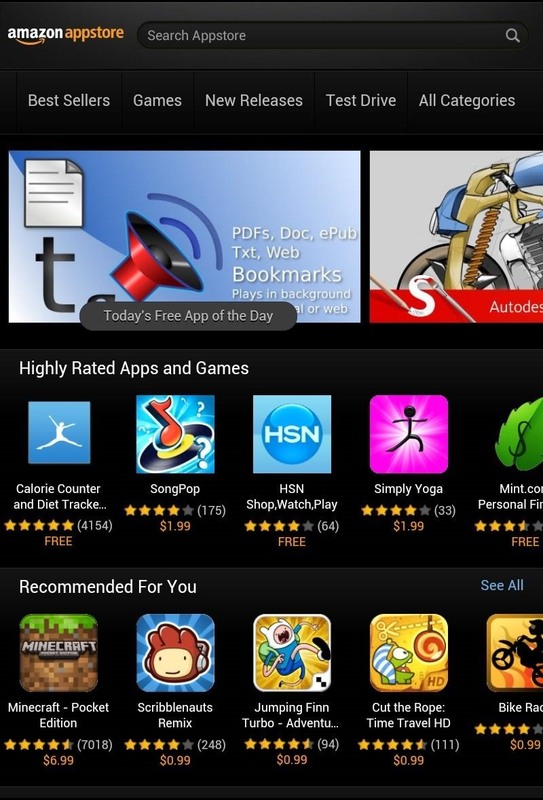 Today, I'll be covering another alternative—Amazon Appstore—the third most popular app store behind Apple's and Google's. Why the popularity? There's a Free App of the Day! I'd like to add emphasis to the free app each day. Who doesn't like getting a paid app for nothing? As you can see above, the free app then was PDF to Speech Pro, which normally costs $2.99. The free app for today (5/2) is Jump Desktop (RDP & VNC), which usually goes for $9.99. Now, let's get this thing of beauty onto our Nexus 7 tablets now! Before you begin, make sure to open up Settings on your Nexus 7, and turn on Unknown Sources under Security. 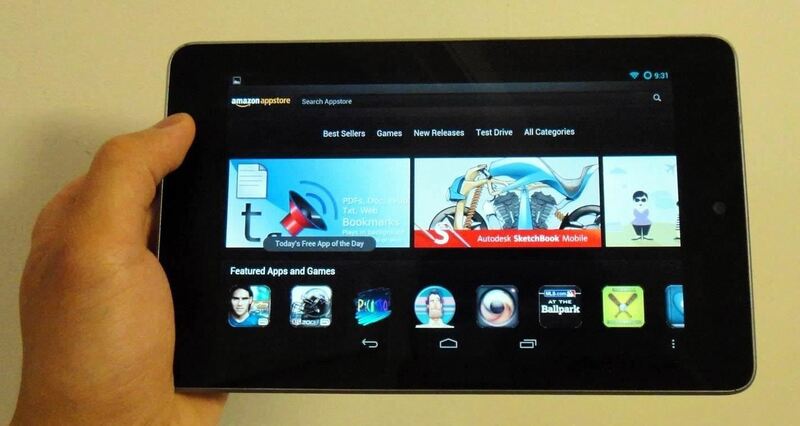 Next, download and install the Amazon Appstore APK file onto your Nexus 7. 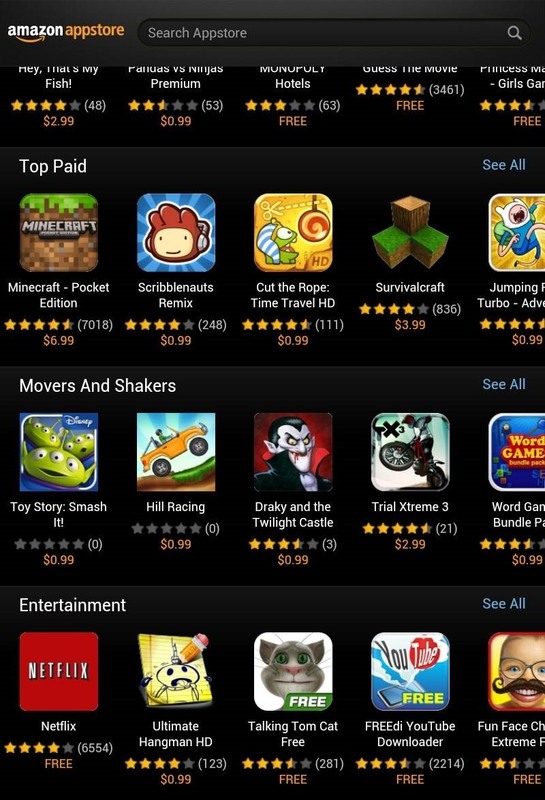 Tap on the APK to install the Amazon Appstore. Here's the homescreen for the store. 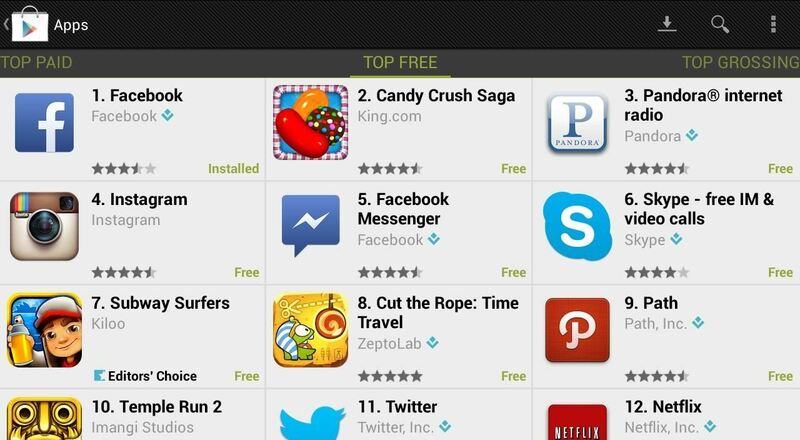 Hey look...there's that FREE APP of the day. If that isn't enough for you to want to install the Appstore, I don't know what is. You'll immediately notice how clean the interface is. Black looks quite nice in my opinion. For an example of an app page, let's take a look at one of my favorites, Doodle Jump. Everything is within a quick flick of your finger. The store has a resemblance to the Apple App Store, so if you've got an iPhone and a Nexus 7, or switched from an iPad to a Nexus 7, you'll surely appreciate this (I certainly like it). 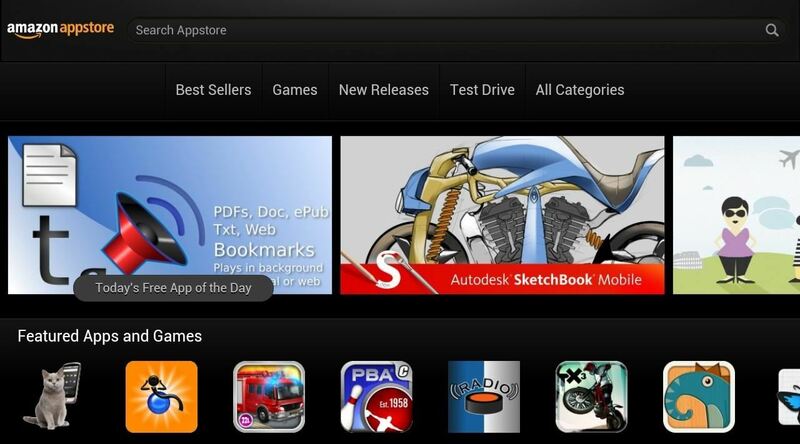 Give the Amazon Appstore a try and see if it replaces the Play Store on your tablet now! Even if it doesn't, it's good to have as a companion for those freebies. The Amazon AppStore is region locked in some places. This is a joke right? Like one of those articles written by The Onion? You do realize that Amazon has way fewer apps. I had to hack my wifes kindle to get play store on it because Amazon apps sucked. I'm only providing an alternative, you don't have to use this app store. The free apps were good back when it first came out but not anymore. Now they are usually apps that you wouldn't even download for free. Don't forget the F-Droid App Repository! It's a great alternative too. I found heaps of excellent apps there. Worth checking out. The worst con I have is that amazon seems to combat paid app piracy by sometimes demanding that you log on to the amazon app store when you launch the paid app. Sorry, but I don't condone piracy. I can not install any apps from Amazon appstore on my Nexus 7. Help! I have talked to Amazon tech support and Google support.......all I got was following a techs suggestion from Nexus support that removed every icon I had on my home page. Returned it all to empty space like when it was brand new. Their reply to my OMG was I needed to move everything back and regroup everything I once had organized. I paid for. Thanks for any suggestions. You need to check Unknown Sources in Settings. Did that, very first thing way back when I first tried to d/l, no difference.